It’s time to spread the love this Valentine’s Day. Love for STEAM, that is. Because who doesn’t love them some sweet science, technology, engineering, art and math? 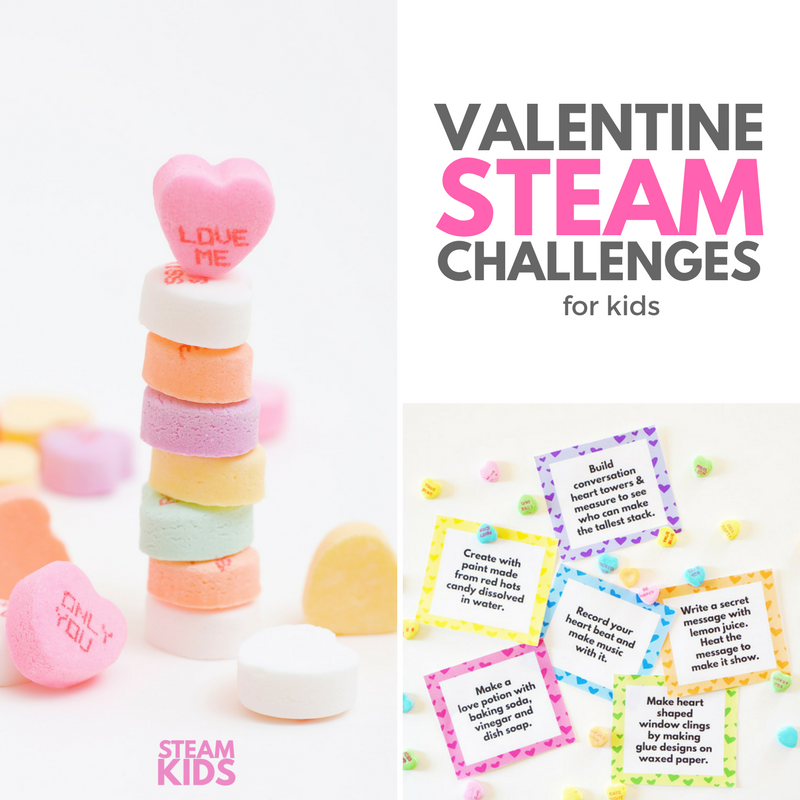 And to make it easy for you, we’re giving you the gift of STEAM with these FREE printable Valentine’s Day STEAM Challenge Cards. 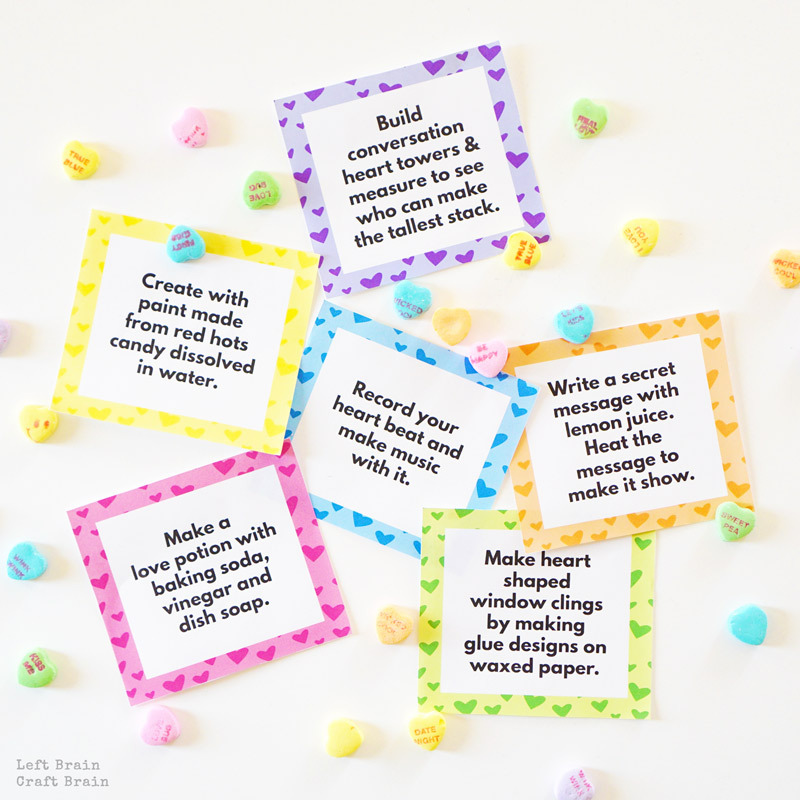 There’s two week’s worth activities in these free printable cards, most that only need basic supplies you already have on hand or come with your favorite valentines. Play and learn this February with these STEAM Challenge cards. STEM plus Art made creative, fun and educational! Inside you’ll find fun invitations to create like painting with red hots or making secret messages. 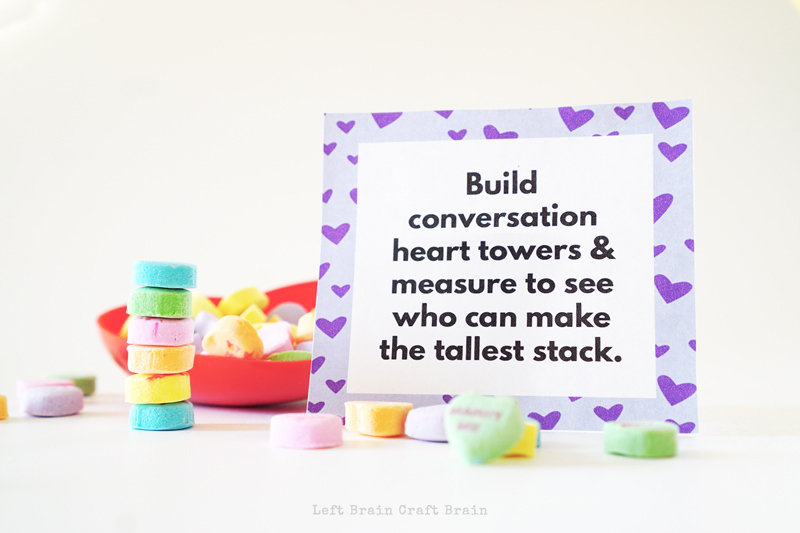 Make a Conversation Heart Tower: Grab a bag of those fun hearts and start stacking. It’s surprisingly difficult and addictively fun. To take this picture, we kept stacking and giggling every time it fell over! 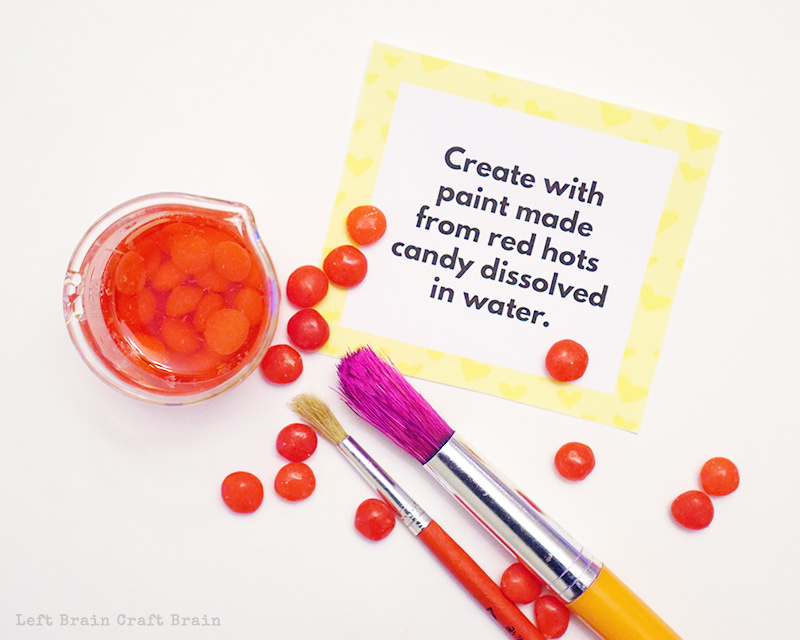 Or try making some red hot watercolors! Definitely the best smelling paint you’ll ever use. 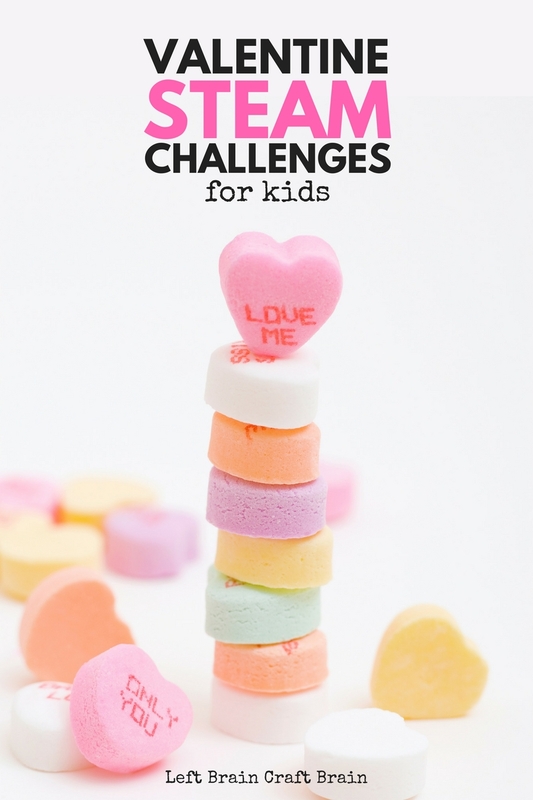 I promise, not all of the challenges involve candy!! Those just happen to be my daughter’s faves. Big surprise, right? To get going on your challenges this month, you can download the cards HERE. To grab the Valentine’s Day STEAM Challenge Cards, you’ll need to give us your name and email address. 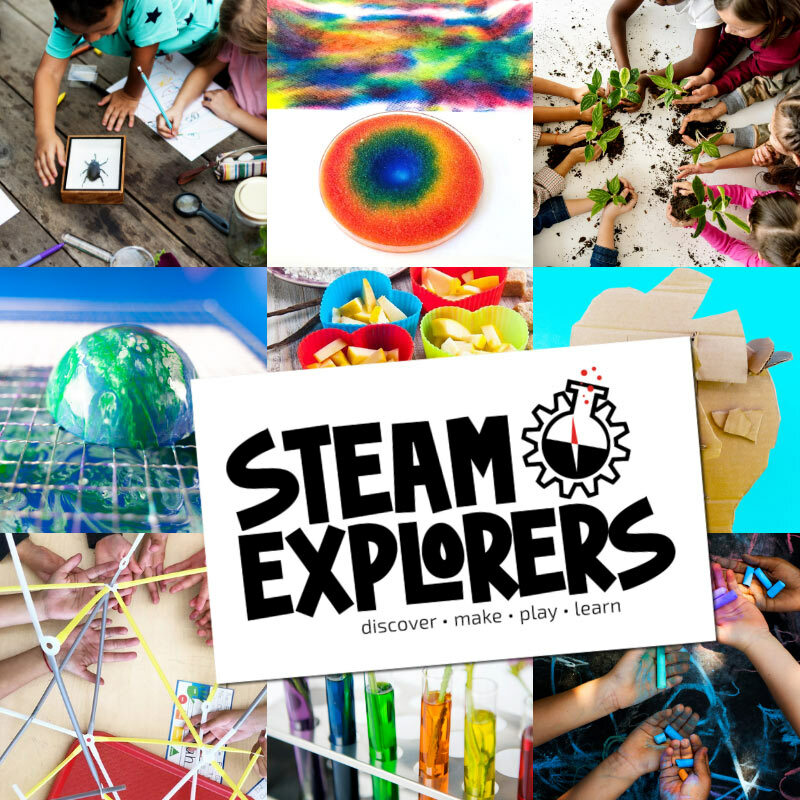 In full disclosure, we’ll be sending you occasional emails with new and exciting STEAM resources for parents and educators and information about upcoming STEAM Kids books. In a VAT Country? 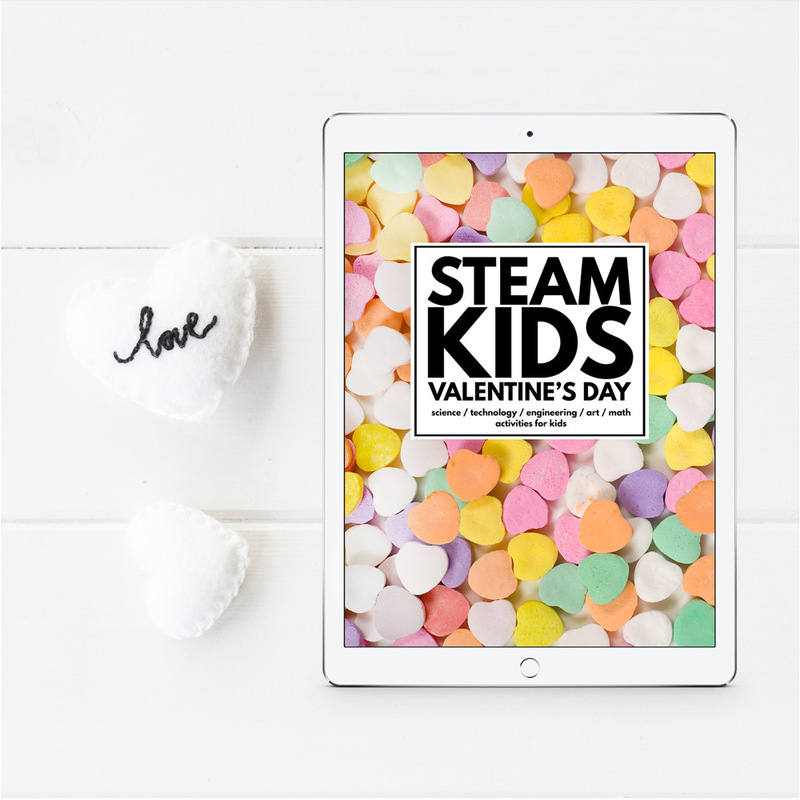 Buy STEAM Kids Valentine’s Day EBook HERE. In a VAT country? 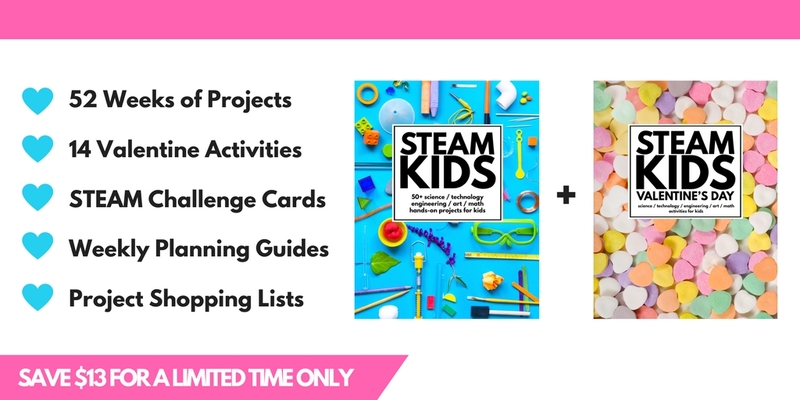 Pick up your STEAM Kids Ebook HERE. Rather get the print version? Hop on over to Amazon HERE. 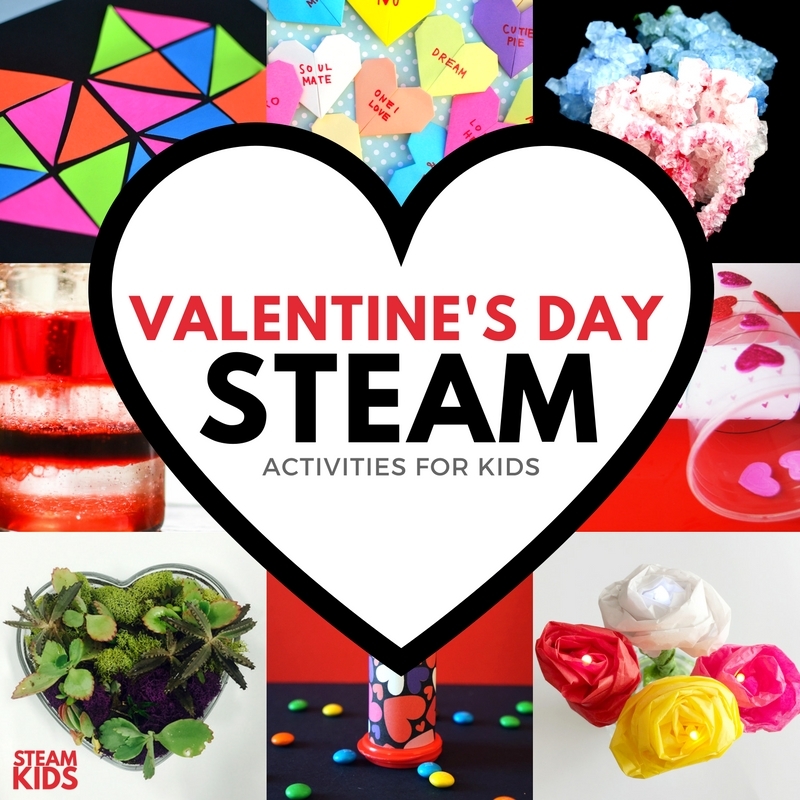 You can still get a copy of STEAM Kids Valentine’s Day EBook FREE if you purchase STEAM Kids on Amazon. Just email steamkids@leftbraincraftbrain.com a screenshot of your invoice and we’ll send you a coupon for a free download. Tell me, what are your favorite ways to learn through the holidays?